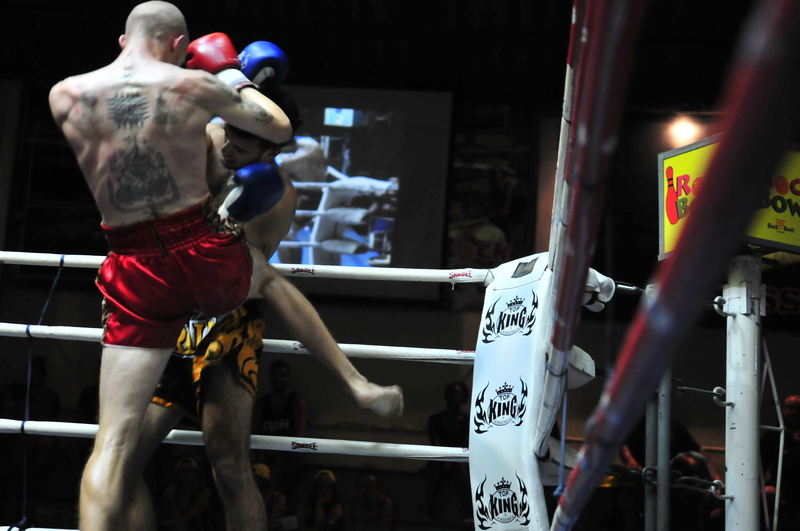 Patong Boxing Stadium was the site of two great wins by Tiger Muay Thai and MMA Training Camp Phuket, Thailand fighters Monday night, including Jonny Bett’s victorious return to the ring. “I’m pretty happy I managed to go hard for five rounds. It was a war,” Betts said. Betts, whose last fight was in February 2011, was sidelined with a devastating knee injury until recently. 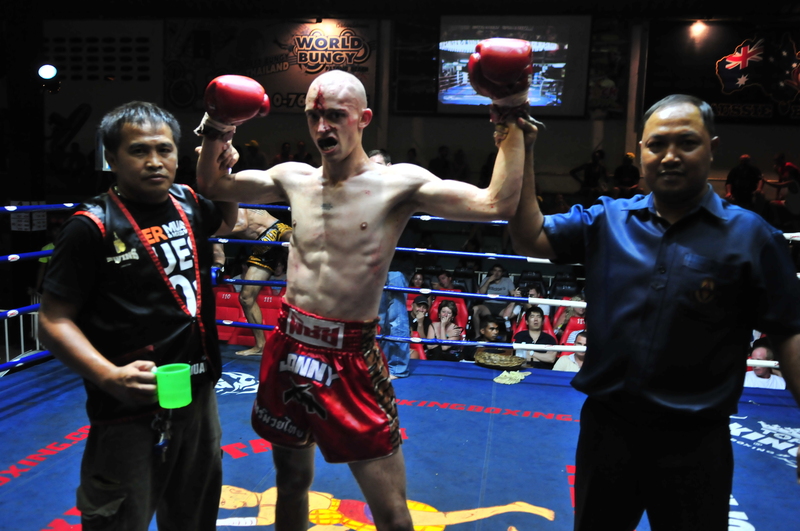 The 24 year-old from Oxford, England got into a war with 22 year-old Gil, a Frenchman fighting out of Krabi, Thailand. Most of the strikes in the fight consisted of precisely timed elbows and knees – several of which came within the clinch. Betts dodged several of Gil’s spinning back elbow strikes, hitting the Frenchman with knee strikes as he gave his back. Betts came out of the third round with a bloody forehead, but kept pushing the pace the entire fight, not skipping a beat. “How I train with [Kru] Laimongkon and [Kru] Nontachai, they hit me pretty hard. I’m used to getting hit hard and just going, going, going,” Betts said after the fight. The first moments of the fourth round saw both men throw nothing but upper body strikes, as Betts continued his relentless Muay Thai walk towards the Frenchman. After the fifth round, his hand was raised after a unanimous decision. 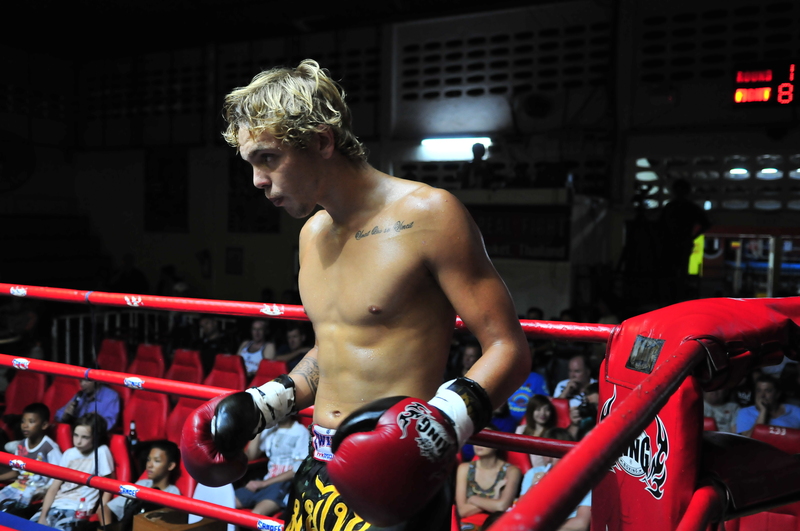 TMT fighter Jack Wilson made his second appearance in a professional Muay Thai fight. The young Australian put away his Thai opponent, Macwpayak, 24, in just three rounds. Throughout the fight, Wilson and Macwpayak, a veteran of 58 fights, traded strong leg kicks. Wilson won after a barrage of punches to the face ending with a left kick to the sternum.